Prodigious writer and show-runner John Ridley has been hard at work producing, writing and developing 2 separate TV projects for various channels. Despite all this work, Ridley has been most closely watched after it was revealed that he was working on a mystery project for Marvel. In a recent conversation with Variety, Ridley was asked whether the rumored project was still part of his future development slate. “I’m in that sort of semi-antsy spot right now,” he says. Ever restless, he’s already sent several ideas to Moran: a script he wrote in his “spare time,” and a pitch for a comedy. And a long-rumored, mysterious Marvel TV project is yet alive, shrouded in as much secrecy as ever. The project remains shrouded in mystery, but about a year ago, there were some indications that Ridley may have had a meeting with Marvel writer G. Willow Wilson in Los Angeles. This alleged meeting may have signaled that Ridley is possibly working on a Ms. Marvel aka Kamala Khan series based on Wilson’s writing on the project. A Ms. Marvel series may also become a reality considering that Marvel TV productions has been working aggressively to slate ‘young adult’ shows on various channels. 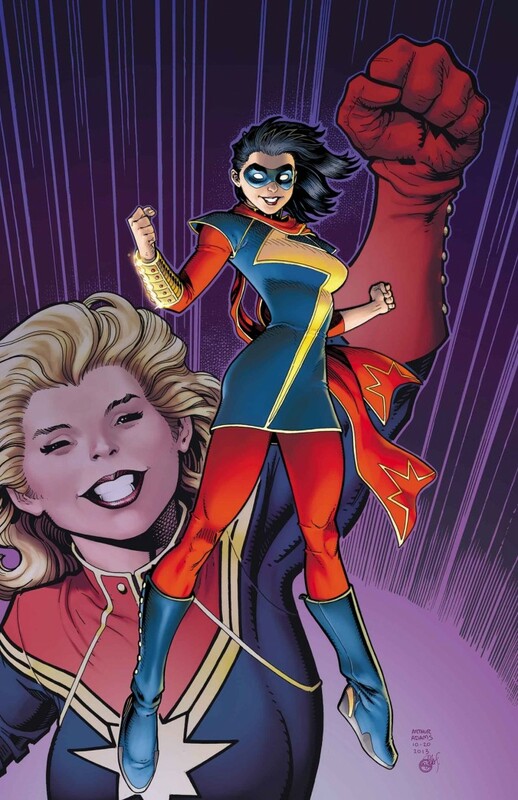 Kamala Khan could easily fit into that milieu along with young heroes like The Runaways and the New Warriors. Whatever might happen, Marvel continues to attach itself to great talent to develop its projects. A Ridley-led project could signal a tonal shift for Marvel on TV, veering from the glib nature of the universe so far. Ridley’s approach to TV could be a similar influence that DC Entertainment hopes to achieve with a Joss Whedon Batgirl movie.